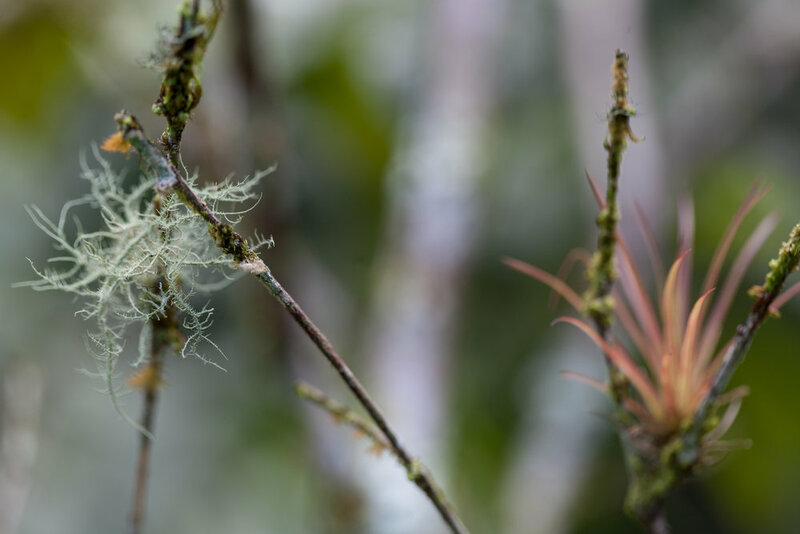 At first pass, El Centro Agronómico Tropical de Investigación y Enseñanza (CATIE) in Turrialba looks like a university campus, but Cristof, the owner of El Salto Ecolodge, tipped us off to the fact that they have an incredible botanical garden. "The architecture alone," he said, "is worth the trip, and the botanical gardens are small, but well-maintained." CATIE was only a 45-50 minute drive from the Ecolodge—and the town of Turrialba is worth a walk through. My friend and I worked up quite an appetite by the end of the walk at CATIE, and then happened upon the restaurant at Hotel Casa Turire, compliments of a cursory search on Trip Advisor. The meal was A+++, largely because—as we would later find out—the restaurant harvests ingredients from their organic garden daily. We met up with their gardener, Julio, who graciously (and excitedly) showed us through the organic gardens, the horticultural greenhouses, and even tipped us off that there were forested paths throughout the grounds, which we later explored with the utmost appeal. 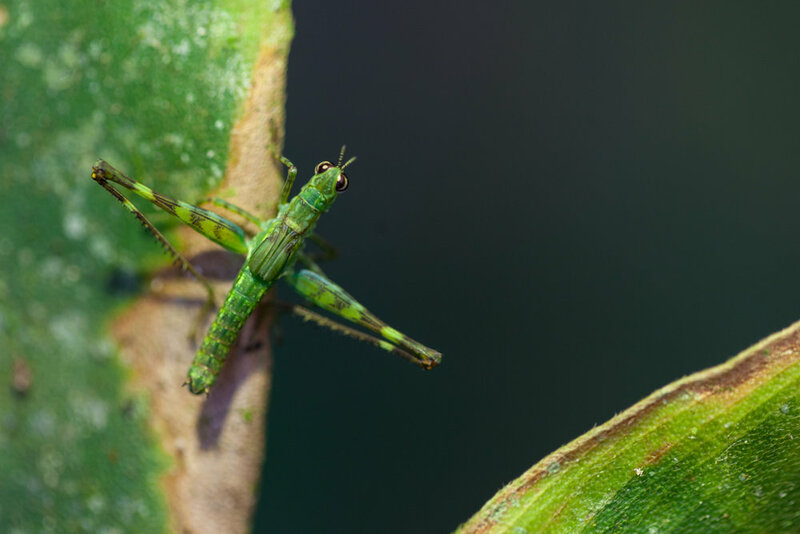 A note on the below: None of the species were identified at the Botanical Gardens, so if I have mislabeled one, or you see one unlabeled that you know, please do make a contribution by messaging me or writing below on the species. Thank you! Some of the myriad of Costa Rican fruits found on the CATIE grounds. Turrialba, Costa Rica. Tillandsia were always within eyeshot. CATIE, Turralba, Costa Rica. Monstera deliciosa. CATIE, Turralba, Costa Rica. I haven't been able to identify this two-lobed leaf, so if anyone has a clue, please let me know. Calathea zebrina exhibiting "leaf curl", which is a way to protect its leaves from the sun to prevent or slow transpiration. If you see this type of genus doing this in your home, then move it away from the sunlight. The forested floor was a sight to behold! Monstera sp. making its way up the tree. Anthurium sp. CATIE, Turralba, Costa Rica. A Peperomia sending out some of its pollen on the breeze. CATIE, Turrialba, Costa Rica. 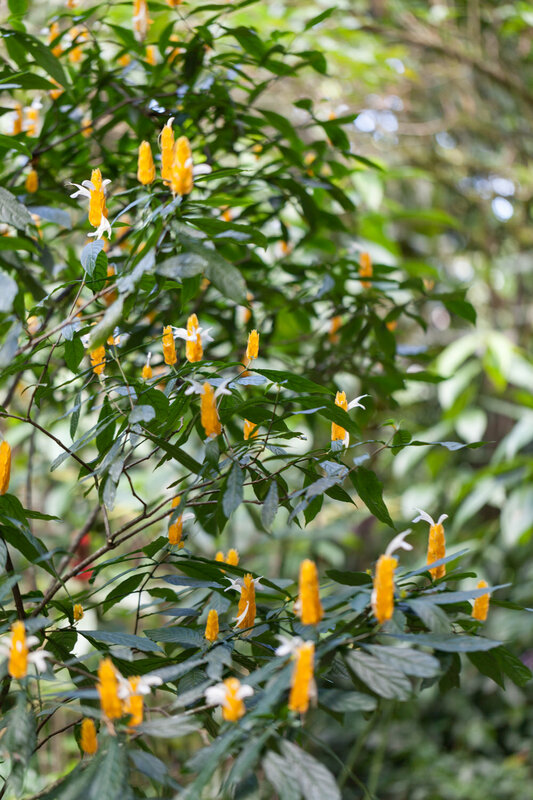 Pachystachys lutea, also known as "lollipop flower", which I have at home (albeit much smaller) and that I've seen at the New York Botanical Gardens, as well. Lovely to see a Sanchezia in bloom. Mine had been hit by spider mites, but I was able to control them with beneficial mites and green lacewing larvae. Will have a full report on its recovery! Begaonia flowers—although I'm not sure what variety this is! Theobroma cacao flowers. CATIE, Turrialba, Costa Rica. Closeup of Zingiber spectabile or beehive ginger. Syngonium podophyllum or Nephthytis sp. at CATIE. Caladium sp. CATIE, Turrialba, Costa Rica. Assuming this is some brilliant Alocasia variety, but not sure what. If anyone knows, please do let me know. Interesting shape at the base. Alocasia sp. CATIE, Costa Rica. Ctenanthe pilosa "Golden Mosaic"—thrilled to see it because I had just gotten one for my home in Brooklyn. Anthurium sp., CATIE, Costa Rica. Some of the beautiful Calathea species they had, which are most known here in the states as "Peacock plants" for their fancy foliage. I was keen to see the plants they were growing in their outdoor nursery, some species of which I hadn't seen growing on the grounds yet. 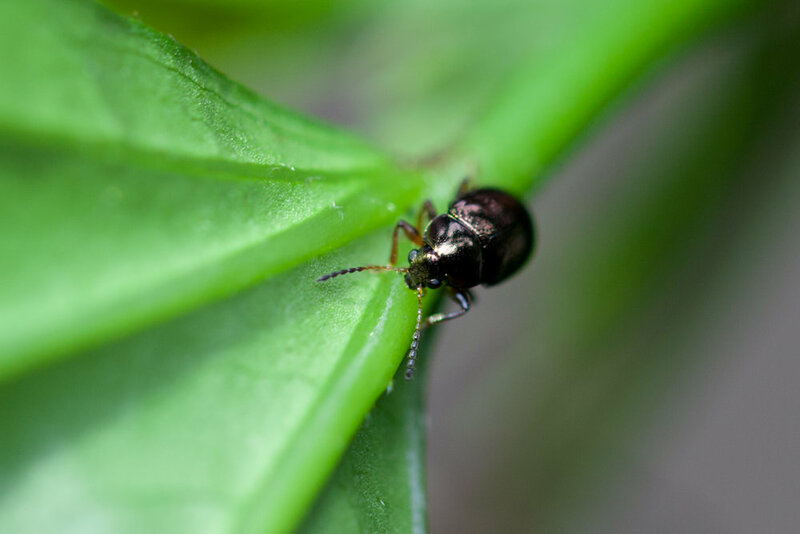 Apologies for the out-of-focus element, but just had a little bit of time to capture this weevil (Eupholus sp.) before it dropped to the ground, which is its defense mechanism. Look how jeweled it is! Heliconia vellerigera, also known as fuzzy lobster claw, and you can see why! Reminds me of a stairway to heaven! You wouldn't want to be caught under this tree in a stiff breeze! This is a cannonball tree. Captured this jumping spider face-on. People have commented on my Instagram post that it looks as if he's wearing a crown! A long-horn beetle which seems to have just escaped a spider's web. Posing for my #MonsteraMonday mugshot alongside some Monstera deliciosa. This is a shot from Casa Turire, where we went later to enjoy dinner. I didn't take too many shots from there, but you should definitely make it a point to stop!